Wondering what you can get your partner for her birthday or the upcoming holidays? If you are clueless, then here are a few ideas for gifts for her that you might find tempting. These are a good buy for you as you can get them for less than $25 and great gifts for her because these are things girls love to have. 1. Jewellery is perhaps one of the best gifts for her out there. It has always been the desire of a woman to adorn herself with beautiful ornaments. However, generally it is quite difficult to find elegant and decent pieces of jewellery in a modest price such as $25. But now you can buy a very elegant and beautiful pair of Kirra Tate earrings for even less than $20. 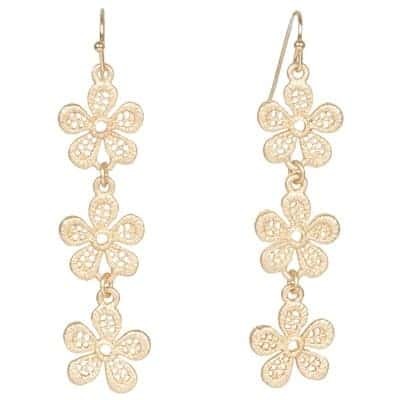 These dangling earrings have three delicate lace-textured chained gold metal flowers that would go nicely with any summer, spring or night dress. 2. There is little more luxurious than a rich, wonderfully scented hand cream- except a hand cream that is also beautiful in your bathroom! TokyoMilk Handcreme Kabuki No. 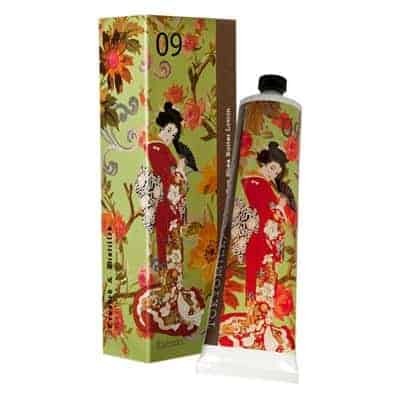 9 is infused with calming Japanese green tea and healing mimosa bark and dandelion extracts to leave skin deliciously soft and mildly scented. Plus, the package is just gorgeous! 3. What’s better than one gorgeous bag to stash makeup and other essentials in? How about three bags, all for under $25? The MOR Costmetics Bag Melbourne Purse Trio Set features three stylish bags that fit right in your purse. Stash makeup, change, business cards, or just about anything else you can think of in them. 4. Nothing could be more perfect than gifting something that gives off a nice cheery fragrance. A beautiful fragrance is synonymous with the female gender; therefore pick one of the Glass Jar Candles from Illume. The Twilight Vanilla Essential Jar candle carries heavenly fragrance of coconut with vanilla. For just $19, she will get 60 hours of soothing fragrance. 5. If your partner has an iPhone 4, then pick one of these cool absolutely new iPhone 4 covers. Choose one from a colorful array of cases for only $25. 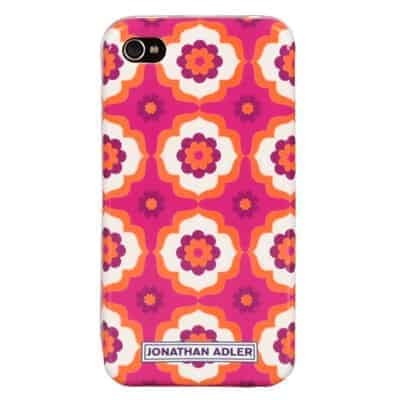 The Jonathan Adler iPhone 4 case is going to fit both iPhone 4 and 4S. The case has a soft-touch to it and is especially designed for females. She is going to love the orange, pink and white kaleidoscope flower pattern on it. It is really not that difficult to select a gift for the woman in your life; you just need to be a little thoughtful about her taste and lifestyle. Which one do you think she will like? 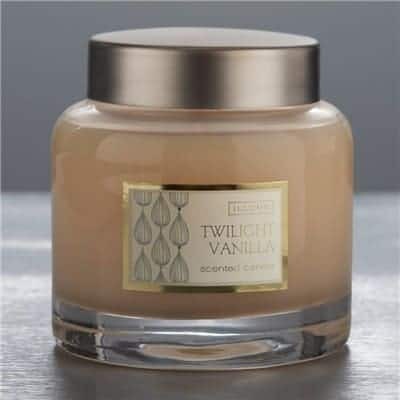 Twilight vanilla sounds great and the jar is pretty. I wish I could scratch and sniff, haha. I totally want those earrings! These are all great suggestions. I love the earrings! Great finds! Thanks for sharing. Those earrings are too cute! I absolutely love those earrings! Great finds! I have to agree with Diane. I love the little eggs!